Below are the upcoming dates in California, posters with details follow. More dates will be added soon! 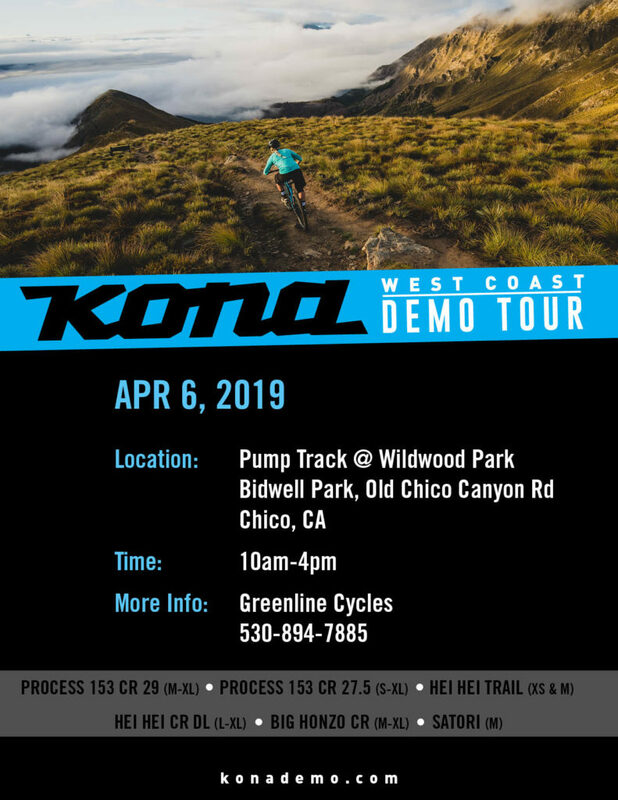 Westfir, OR and Driggs, Idaho are the next stops for the 2018 Kona Demo tour! Be sure to come by and throw a leg over a Process 153 CR/DL, Honzo, Hei Hei Trail, Satori, or Process 153 29er. 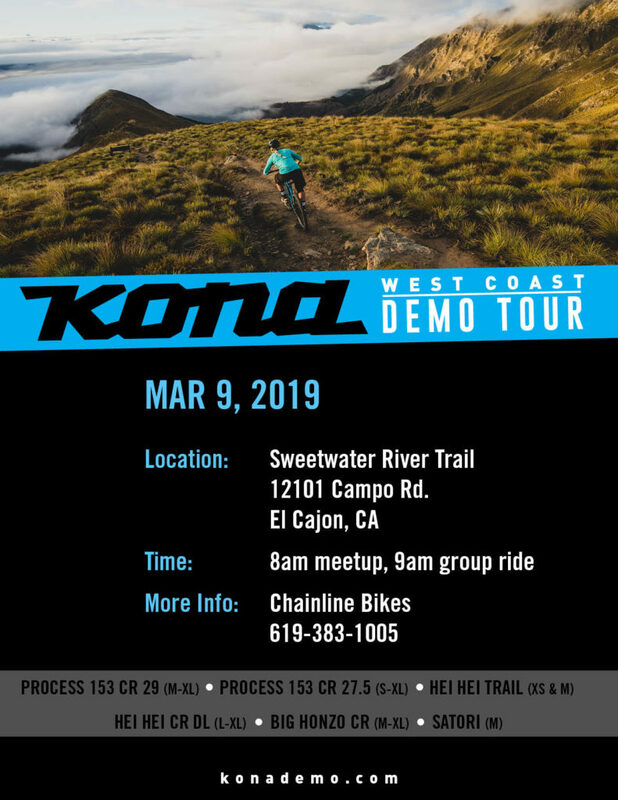 Can’t wait to ride a Kona in your town? Check the full tour schedule for more details. 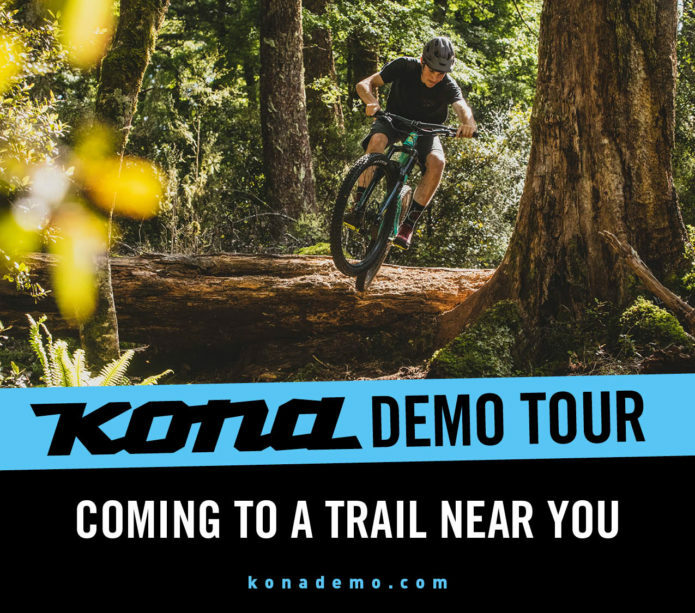 The Kona 2017 Demo Tour in AR, OK, and MO this Weekend! The Kona 2017 Demo Tour is in Arkansas, Oklahoma, and Missouri this weekend. Three separate demos are happening in Springdale AR, Jenks OK, and Highlandville, MO. Check out the flyers below and hit up the shops for further details! 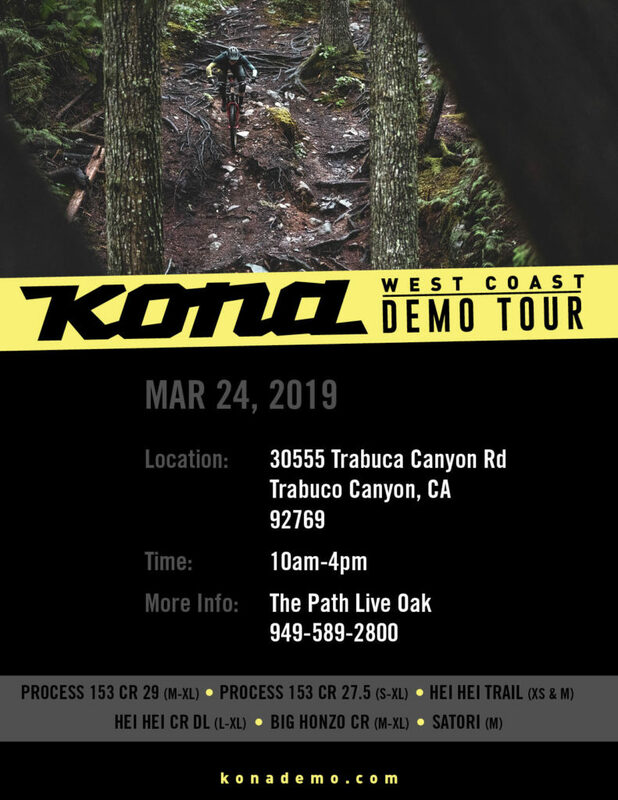 The Kona 2017 Demo Tour Heads to Coquitlam, BC this Saturday! 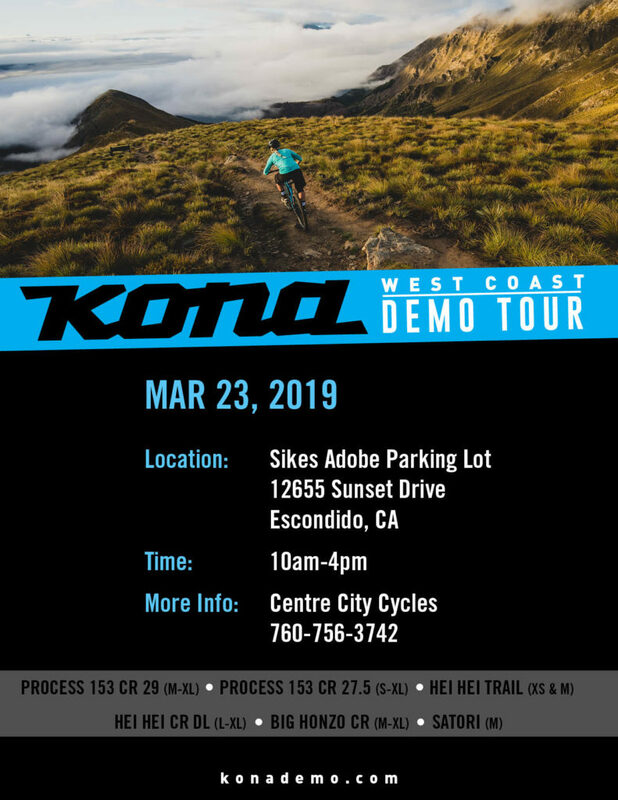 The Kona 2017 Demo Tour is heading to Coquitlam, BC with Kinetik Cycle tomorrow! All the details are in the flyer below. Grab your helmet, shoes, and ID, and swing a leg over a Hei Hei, Hei Hei Trail, Honzo, or Process! 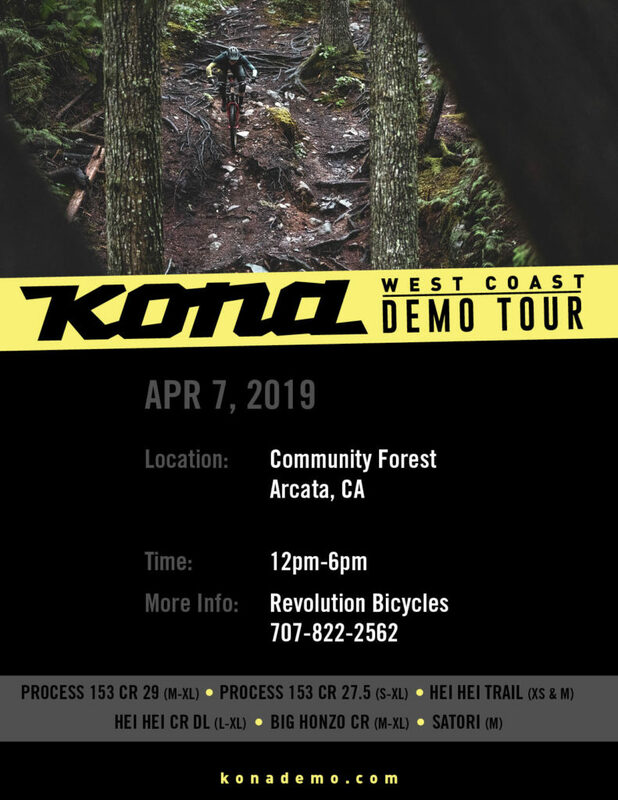 The Kona 2017 Demo Tour on Vancouver Island April 22-23! Hey Vancouver Island! The Kona 2017 Demo Tour is headed your way this weekend with stops at Westwood Lake in Nanaimo hosted by Rock City Cycles and Hartland Bike Park in Victoria hosted by Goldstream Bicycles. All the details are on the flyers below!